This home is loaded with luxury! 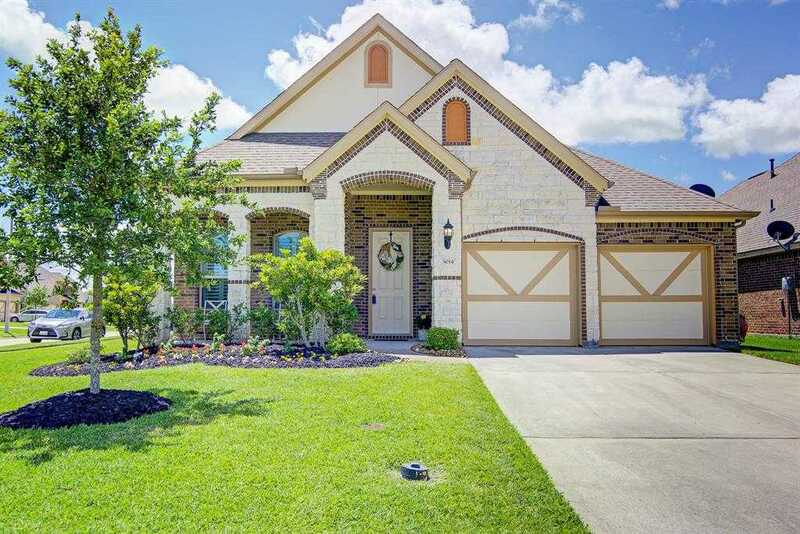 Built by Gehan, it is located in the stunning community of Hidden Lakes. It’s located within walking distance of the community pool, playground, and splash pad. This is the Laurel floor plan with the upgraded elevation offering a brick and stone designed finish, arched openings on the front porch, towering 8′ interior paneled doors, vaulted ceilings throughout, the optional extended master shower and three foot extension of the master suite. The kitchen is a chef’s dream with radiant granite countertops and island, maple cabinets and stainless appliances. The two car garage has a mini-split climate control system, custom lighting and attic access. The home has a list of upgrades including: shiplap accent walls in the formal dining room, engineered hardwood floors in the flex room, bedrooms, dining, & halls, plantation shutters, custom paint throughout, beautiful gas fireplace and a wonderful corner lot with extended covered patios, recent fence.